In his new book, Inventing Wine: A New History of One of the World's Most Ancient Pleasures, Paul Lukacs writes that the wine we drink today is radically different from what people drank in ancient times. His chronology touches on pivotal moments in wine's history from its invention 8,000 years ago, to the globalised industry of today. But Lukacs contends that the reason people drink wine has never changed. 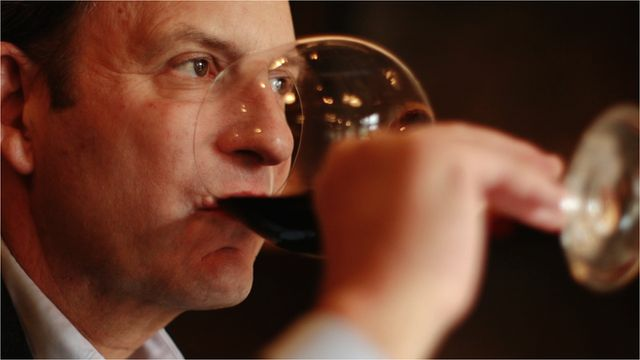 BBC News met Paul Lukacs at The Wine Bistro in Baltimore, Maryland to talk about his new history of an ancient indulgence. Produced for the BBC by Leigh Paterson; camera by Peter Murtaugh.